Originally published at www.pluginhive.com on August 8, 2018. Shipping is one of the most important tasks in an E-commerce environment. In almost every business scenario, the actual physical work starts once the customer places an order. However, being such an important task, you need to pay more attention to it. From product packing to generating shipping labels, there are a lot of things you must do properly, in order to ship your products perfectly. In this article, we will discuss some of the most common mistakes that online business owners commit on a daily basis. If you are among those business owners, this article will surely help you identify where you are going wrong with your shipping process. Once you identify these shipping mistakes, avoiding them will be much easier. Avoiding such mistakes will not only guarantee customer satisfaction but also get you an extra mile ahead of the competition. Automation is the need of the hour and the biggest shipping mistake that online business owners commit is the decision to go manual when it comes to shipping. What they don’t realise is that if you automate your shipping, the whole process will be a lot easier and less time-consuming. From getting real-time shipping rates on your website to generating shipping labels and tracking IDs. It becomes very tedious for a medium to large scale business to deal with these tasks manually. When it comes to WordPress based websites, there are plugins that can help you automate the shipping process for shipping carriers like UPS and FedEx. With the help of these plugins, you can even get the shipping labels for your orders automatically, which you can easily download from your store’s back-office. Who doesn’t love free shipping, right..?However, Free Shipping at what cost..? Having a shipping strategy can vary from business to business. There are times when the business owners may decide to provide free or other cheaper shipping options to their customers. Being an online business owner, you need to understand that cheaper shipping does not benefit every time. In most of the cases, the customers may prefer to pay more in order to get the shipment faster. Similarly, shorter delivery time, package security, features like guaranteed delivery, etc. are some of the factors customers may prefer over cheaper shipping rates. When it comes to a medium to large scale business, relying only on one shipping carrier can prove to be one of the biggest mistakes. Most of the time, online business owners tend to work with only one shipping carrier because of the shipping services and cheaper shipping rates they provide. Take the example of Canada Post and Australia Post. These carriers may provide some of the best shipping services in terms of both price and time, in Canada and Australia, respectively. However, at the same time, the international shipping services provided by these carriers may not be on par with the likes of DHL, UPS, FedEx, etc. Using more than one shipping carrier may not be suitable for everyone. However, relying on just one shipping carrier for short-term benefits would be a mistake you won’t even realise till you use multiple shipping carriers for different types of shipments. The idea with multi-carrier shipping is based on the shipping carrier’s specialisation. Working in a multi-carrier environment, business owners generally have the flexibility to choose the shipping carrier based on factors like the scale of products, expertise in terms of guaranteed deliveries, and geographical areas covered by the carriers. Business tools like WooCommerce Multi-Carrier Shipping plugin provide an easy and convenient way to work with multiple shipping carriers. The plugin supports a total of five shipping carriers namely, UPS, FedEx, USPS, Stamps, and DHL. Product weight is one of the most important factors that determine the shipping cost. In most scenarios, if a customer buys a single product, there is not much to worry about the weight. However, when it comes to multiple products, simply adding the weights together may not be the most accurate way to weigh your package. Most business owners tend to have a rough weight estimation of their products. Rounding off to some decimal places can make the process of weighing a lot simpler but it can also create a difference when it comes to multiple products being packed together. Also, the weight of the packaging material and the box itself will be added to the final weight of the package. Hence, instead of having a rough estimate of your products, it a much better you weigh and adjust your package weight so that the shipping cost won’t be higher than your expectations. You can even consult the shipping carriers to know more about how they weigh the packages and what tools they use to do it accurately. Talking about the weight and the packing material, the next mistake that online business owners commit is the improper packing of their products. About half the shipping issues arise because the products that you are shipping are not packed properly. Most of the times faulty packing is the reason for angry customers who receive damaged products. What you need to realise is that different products vary in shapes and sizes. Be it smaller products like nuts and bolts or products weighing more like vehicle parts and furniture, different types of products require different packing. Business owners need to identify which products require what type of box as well as protective cushioning. If a box is not well reinforced, it may not be able to support the weight of heavy products. If a product is not packed properly, there is a great chance it might get damaged before delivery. Did you know that your customers are not liable for any damage caused during shipping?It is either the online store or the shipping carrier who has to bear that extra cost. In addition, the time it takes for shipping, replacing the damaged product and shipping it again is something no store owner would want to waste. Hence, when it comes to packing your products, the quick stop would be to check out shipping carrier’s websites for their standard boxes. Or if you want to be assured, you can even consult a professional or discuss it with your shipping carrier. After all, who knows better about product packing than those people who do it every day. Still, you can do your best to pack your products and safeguard them using reinforced boxes with proper protective cushioning within the box. When customers visit your website, finding what they need makes them as happy as knowing that they will get that product within a day. Estimated delivery date plays a very important role when it comes to increasing your business. Customers tend to relax when they have an estimate of when they will get the product. Moreover, this also shows that the online store provides a commitment to their customers. However, displaying estimated delivery dates can have an equally bad impact too. Consider, a customer getting his delivery on the seventh day when the delivery estimate he got was merely two days. Displaying wrong delivery dates is a mistake that no one wants to commit intentionally. However, calculating the date of delivery is a tricky task. There are holidays, weekends, and even some days when the shipping carrier won’t even deliver. In such cases, it is very important that your customers get an accurate delivery date or even an estimate about when exactly they can expect their delivery. Online tools like WooCommerce Estimated Delivery Date plugin does an amazing job of calculating as well as displaying the delivery dates on your website. A typical E-commerce store can have about 50 to 100 orders per week. Shipping so many orders mean you have to be extra careful with the tracking IDs. 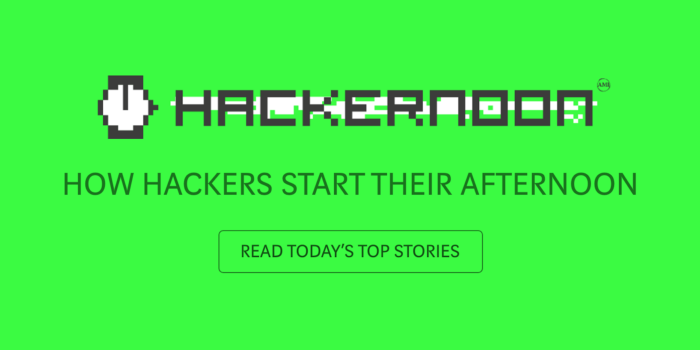 Updating and sending a wrong tracking ID to your customers can have serious consequences. Besides, generating tracking IDs for so many orders can be very tiring and in such cases, mistakes are bound to happen. Taking care of the shipment tracking manually can seem quite convenient at first. However, having an automated shipping solution that generates accurate tracking IDs for each order and even notifies customers about the tracking details, is the best way to ensure accuracy and reliability when it comes to shipment tracking. As we discussed in the above sections, product damage during shipping is not liable to the customers. Only the store owner or the shipping carrier is responsible for any damage during the delivery. However, for a store owner, it is very important to keep a track of delivery receipts. This is to ensure that the products and the packages were not damaged during the process of packing. Delivery receipts can be very helpful in identifying the exact process which damaged the product. This way the store owner can even claim the insurance for the products and make sure his shipping expenses don’t increase. There was a time when customers used to look out for the terms and conditions to return a product, at the time of any damage or improper functioning. Nowadays, even before buying the product, a customer wants to know the process of returning a cell phone and buying a new version, if in case the company launches a newer version of the same product. Not having a transparent and easily accessible return policy is among the most common shipping mistakes that online business owners commit. There is a need for a transparent return policy containing the details like how the whole process will be initiated, will there be any shipping charges, who will pay the shipping, etc. Apart from that, the store owners can also go a bit further by providing the printable return shipping labels their customers. Even the online stores such as Amazon have a very customer-centric approach when it comes to their return policy. These stores make sure that their return policy is easily understandable and visible to the customers. You can have a dedicated section for all the returns along with the terms and conditions. Or you can even display a link on the cart page so that the customers can easily access that information while purchasing a product. This article covers one of the most important aspects of the online business — Shipping. This article is about how important shipping has become in modern day E-commerce and what are some of the most common shipping mistakes that people commit while shipping. In the modern day business scenario, where customer obsession is the key to success, a single mistake can be the reason for a company’s failure. With the help of this article, you can identify whether your company is playing it safe when it comes to shipping. By avoiding the above-mentioned mistakes, you can assure that the company’s success goes hand-in-hand with the customer’s satisfaction. Moreover, it can be very costly trying to identify shipping mistakes on a ‘trial and error’ basis. A small mistake in terms of shipping can cost you a lot of money, time, reputation as well as customers. It is much better to analyse your business and identify as much as you can from other’s experiences. 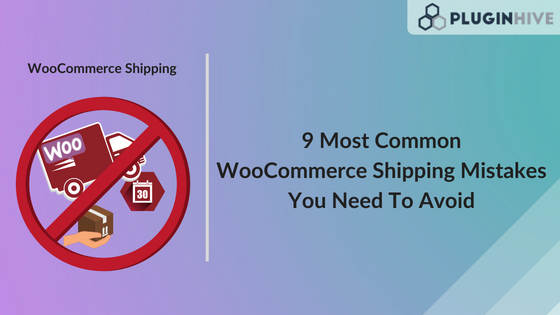 9 Most Common WooCommerce Shipping Mistakes You Need To Avoid was originally published in Hacker Noon on Medium, where people are continuing the conversation by highlighting and responding to this story.